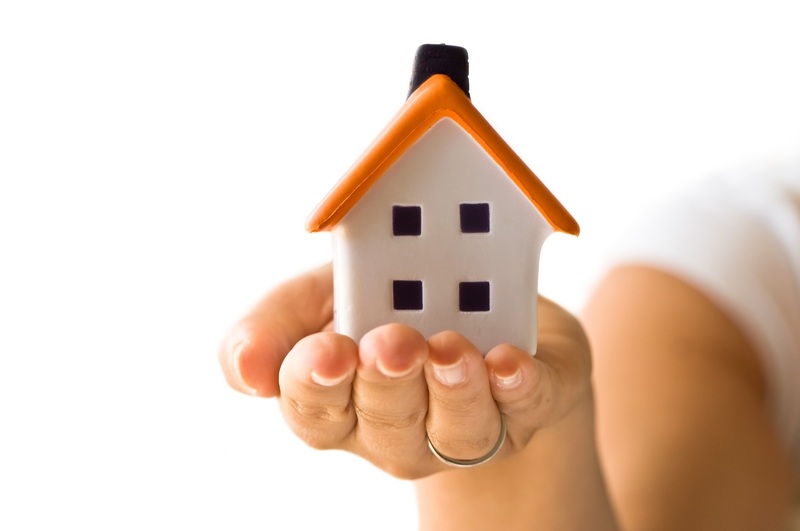 Just as houses come in different styles and have different prices, so do the mortgage loans. If you are ready to jump into the mortgage market you should also consider what type of mortgage you want. There are three basic types of loans to choose from, and a good mortgage loan officer can walk you through all of your options, but you can start by reading our guide and find out the advantages and disadvantages of each mortgage category. If you choose a fixed-rate mortgage, the interest rate will stay the same throughout the length of the mortgage. This means that for each month your mortgage repayments will remain the same no matter what happens to interest rates. When deciding which type of mortgage rate would suit you best one of the most relevant questions you should answer is: how long are you going to stay in the home? If you plan to purchase the property and stay in it for a long period of time, then you should consider a fixed-rate mortgage. Another aspect that would be wise to check is the mortgage market in order to understand if the rates are high or low. In case mortgage rates are at a low point then choosing a fixed-rate mortgage would be a smart decision. Accurately calculate the monthly payments and if you are not sure if you would be able to repay the home loan in case interests rates rise then a fixed-rate mortgage is a safer option. You can choose to pay your fixed rate mortgage loan over different periods of time, the most common are 15-year FRM loans and 30-year FRM loans, however you can also decide to go for a 10 year or 20 year loan if you qualify for the higher payments. No matter the chosen period of time for the agreed period of time if market rates rise your interest rate won’t shift. The shorter the loan term, the lower your interest rate will be. For example, a 10 or a 15 year fixed mortgage rate will have a lower interest rate than a 30-year fixed loan. The main disadvantage of a fixed rate is that if rates drop you will end up paying more than if you would have payed if you opted for an adjustable mortgage rate. You will not take advantage of any cuts to the base rate as your monthly payments will not drop along with it. Also, if you pay down a chunk towards principle, your monthly payment will typically not change since it is fixed. The possible solution to adjust this type of mortgage is to refinance, however you will have to pay closing costs, and a lot of time and paperwork. “An adjustable-rate mortgage, is a type of mortgage in which the interest rate applied on the outstanding balance varies throughout the life of the loan according to investopedia.com Variable rate loans can move up or down based on factors such as the prime lending rate or on the changes of the index published by the Federal Reserve Board; this adjustment can be calculated using the 1-Year U.S. Treasury Bill index. Your variable rate will also move depending on what margin you signed up for at the closing of your loan. The prime lending rate is the rate set by the majority of the top 25 U.S. banks and is calculated based on the interest rate charged by banks to their major clients on short term loans. Typically you can determine what the Prime Rate is at any given time by taking the rate set by the Federal Reserve, called the Fed Funds Rate and add 3 percent. If your loan had a margin on your adjustable, then you'd need to add that in as well. With adjustable-rate mortgages (ARMs), the interest rate can go up or down over time, since it is based on an economic index and it continually modifies according to the changing rates. Try to keep in mind that during the mortgage period you will see movement in both directions, having a relatively small net effect over time. Although you may take advantage of a lower payment, take into account that the rates can also rise on you, dramatically increasing your monthly payments. A major disadvantage of ARMs is the complexity and variables of the mortgage deal. In the case of an adjustable rate mortgage lenders have more flexibility when determining margins, caps or the adjustment indexes. A hybrid adjustable rate mortgage is a combination of fixed rate and a regular Adjustable Rate Mortgage (ARM) loans. These loan types are hard to find in today's mortgage market. The interest rate is fixed for a certain number of years and then then it is adjusted to the agreed-upon index rate plus the margin. The adjustment is usually recalculated each year, based on the discussed criteria. There are several different fixed-rate terms for a hybrid adjustable rate mortgage such as 3/1, 5/1, 7/1 and 10/1. One of the major benefits of the hybrid mortgage is that the interest rate for the fixed-rate timeframe is usually lower than for a 30 year fixed rate mortgage; making it easier to qualify. If you plan to relocate and sell your house during the fixed rate period, it is like getting a fixed rate loan at a lower rate and is also assumable, which is a great advantage in case you decide to sell the house. Carefully consider all your possibilities and options before making a borrowing decisions of any kind. Educate yourself on terminology or pricing aspects that you do not fully grasp, and carefully calculate your needs and expectations against the mortgage offer and the total loan cost. In case there is an element that you are not completely sure of it’s always a good idea to consult your mortgage professional.